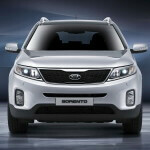 The 2013 Kia Sorento is a midsize crossover SUV with seating for up to seven in three rows. The 2013 Kia Sorento is a good combination among quality, performance and value, with well-made and well-equipped interior, great fuel economy, plentiful standard features, sporty handling and long warranty. This SUV competes on the market with Toyota RAV4, Dodge Journey, Honda CR-V, Chevrolet Equinox and Mitsubishi Outlander. The 2013 Kia Sorento comes in three trim levels: LX, EX and SX. The Sorento LX comes standard with 17-inch alloy wheels, Yes Essentials fabric upholstery, body-color heated outside mirrors with turn signal indicators, full power accessories, cruise control, keyless entry, a tilt-and-telescoping steering wheel, a 60/40 split-folding second-row seat, trip computer, illuminated visor mirror, rear map pockets, second-row armrest with cupholder, Bluetooth connectivity and a sound system with CD player and iPod/USB interface. The LX Convenience package adds heated front seats, an auto-dimming mirror, foglamps and rear parking sensors. The LX Convenience Plus package adds an eight-way power driver seat and a leather-wrapped steering wheel and shift knob. The Sorento EX adds 18-inch wheels, dual-zone automatic climate control, keyless ignition, keyless entry, automatic headlights and leather upholstery. The EX Premium package (available for Sorento EX with V6 engine only) adds the auto-dimming mirror, rear air-conditioning, a panoramic sunroof, a rearview camera and 10-speaker Infinity audio system. The EX Premium Plus package adds all of the above items plus a touchscreen navigation system and driver memory function. 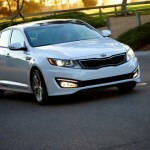 The 2013 Kia Optima is a midsize five-passenger sedan and it is one of the most competitive family sedan. 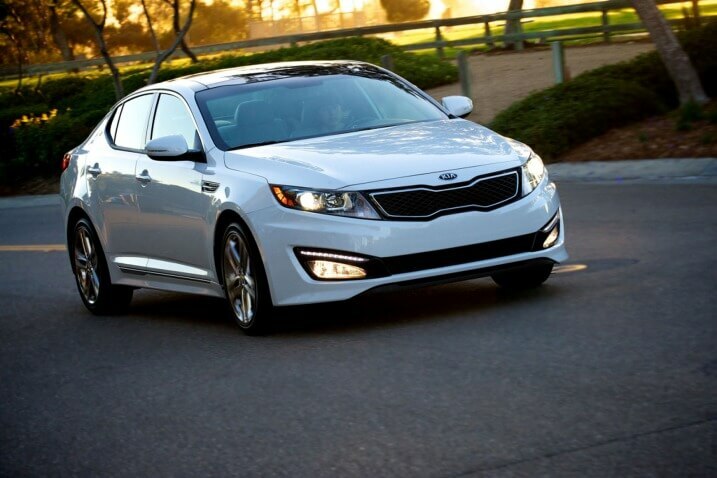 The 2013 Optima competes with cars like Ford Fusion, Honda Accord and Toyota Camry. A SX Limited luxury trim level is new for 2013. The 2013 Kia Optima is available in four trim levels: LX (at $21,200 MSRP), EX (starting at $23,500), SX (from $ 26,800 MSRP) and SX Limited (at $ 35,275). The 2013 Kia Optima LX comes standard with 16-inch alloy wheels, keyless entry, foglamps, air-conditioning, cruise control, a tilt-and-telescoping steering wheel and a six-speaker sound system with a CD player and an iPod/USB audio interface. The EX adds an eight-way power driver seat, an auto-dimming rearview mirror, 17-inch wheels, keyless ignition, leather upholstery and leather-wrapped steering wheel and shifter. The SX adds 18-inch wheels, a turbocharged engine, a sport-tuned suspension, auto-leveling xenon headlights and steering-wheel-mounted transmission paddle shifters. 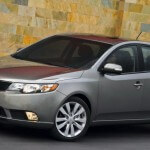 The 2013 Kia Forte will be an all-new compact car model, available as a four-door sedan, four-door hatchback or two-door coupe (which Kia calls Koup). 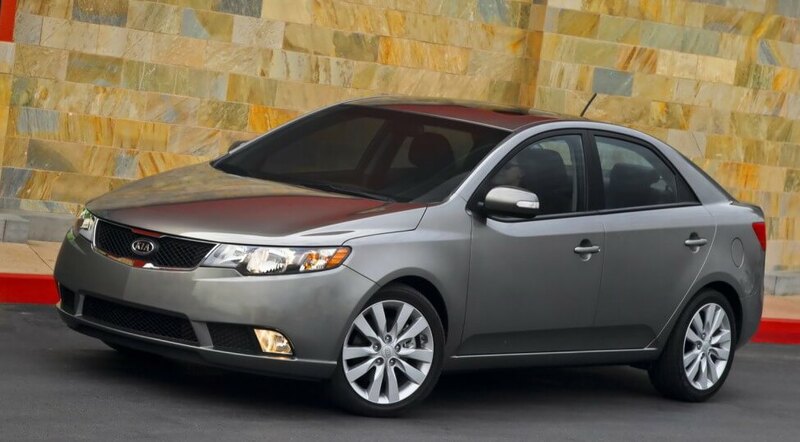 The new 2013 Kia Forte will have a new exterior design, new wheels, LED lights, power-folding side mirrors and a new engine. With attractive styling, feature content and pricing, surely this car will have good sales as the previous model. 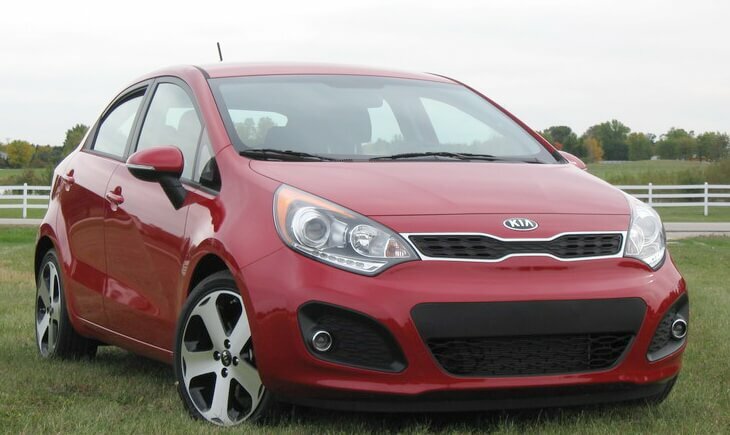 For 2013 Kia Forte is expected that in addition to the new engine, to be used the 2.0-liter four-cylinder engine from Hyundai Elantra Touring or the 1.6-liter four-cylinder engine from Cee’d. 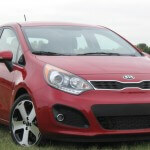 The 2013 Kia Forte will be available in LX, EX and SX trim levels, while the 2013 Forte hatchback and Koup will be available in EX and SX trims only. Certainly, 2013 Fortes comes standard with stability control, traction control, Bluetooth, CD stereo with USB audio jacks and air-conditioning.